I'm currently thinking about heading down to Florida for spring break to camp and fish in the Everglades. I know absolutely nothing about that area. Thus, I'm shamelessly begging for a little information to help me decide whether it is a trip I want to do. The spring hatches should be starting here in the Smokies, and I'm having a hard time being convinced that it is worth the trip to FL. Currently I don't own any saltwater gear so I only need information on the freshwater portion of the Everglades...no ocean fishing for me... If you are willing to offer advice, feel free to reply here or you can email me. Thanks! I would suggest that a guide might be the way to go. I don't know enough about the Glades to even venture a suggestion, but I will say this, if you get into some peacocks, or even largemouths, you are definitely going to have a great time. There are also Oscars and assorted and sundry other exotics in the southern portions. The weather is cool this time of year, actually about ten to fifteen below normal, but very pleasant. I hope someone with more knowledge about the Glades can help you out! I went down to central Florida about a month ago and did some bass fishing with my brother. 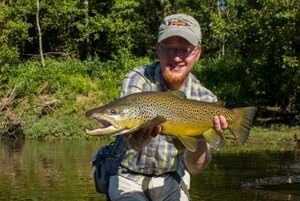 It was fun, but tough fishing does not even begin to describe it. 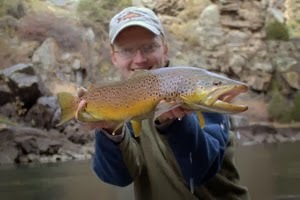 30 mph sustained winds + fly rod = #%$@*! 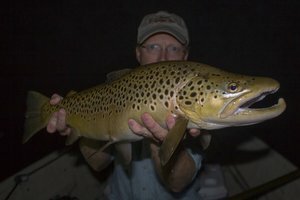 Before I went, I did quite a few searches on freshwater fly fishing in Florida. It seems that most people that fish the Everglades fish out of a kayak. You could probably rent one. Sounds like its time to really do some computer searches! 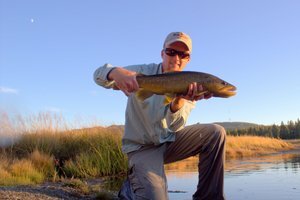 I'd really recommend a quide for at least a day, not necessarily to get you into fish, but to show you the ropes down there. I've fished the Glades once and it can be great, but you're talking miles and miles of saw grass, canals that take off in all directions and areas that are as easy to get lost in as puttering around in the bayous in Louisana. This is not to mention more damn rattlesnakes than I've ever seen anywhere out west, tons of other little shithery things that can also put a real hurt on you and one or two critters that will kill you and have you for dinner. This should be a great experience for you, but you need to make sure you're ducks are all in a row before heading down that way. Chad is right about the kayak fishing as they use them in both the swamps and mangroves and with enough looking you're bound to find someone who can show you the ins and outs of the area. One last thought. The Glades are protected and that may mean your stuck with public campgrounds so look into the camping and see what if any kind of permits are required to camp or if they'll actually even let you stay in the boonies. Stay Home. 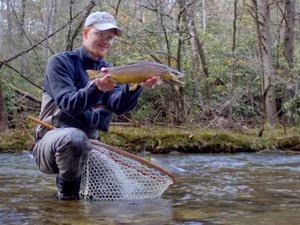 As a 37 year South Fl resident and former glades and lake Okechobee bass fisherman, now coldwater fly rodder, I say fish the Smokies. If you do come here leave your fly rod at home and plan on using live bait or plastic worms etc. Also the water is so dark and dirty you can't see 12 inches below the surface. HOWEVER. A trip to the Keys, fishing in the Gulf side with a guide will get you more fish and more fun than most anything.